Business card modeled after the classic calling card of long ago. 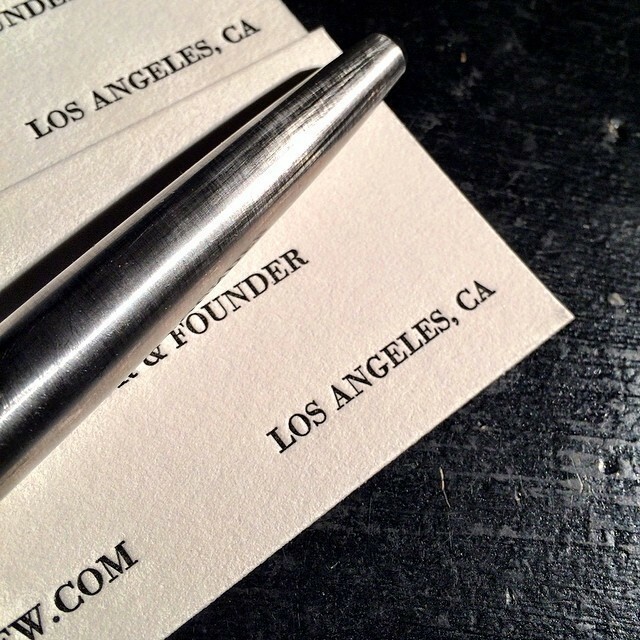 § a simple courtesy card, in Kabel typeface on standard American size business card. ➽ Recently, a customer contacted me inquiring about a note card I had posted on my Etsy shop. 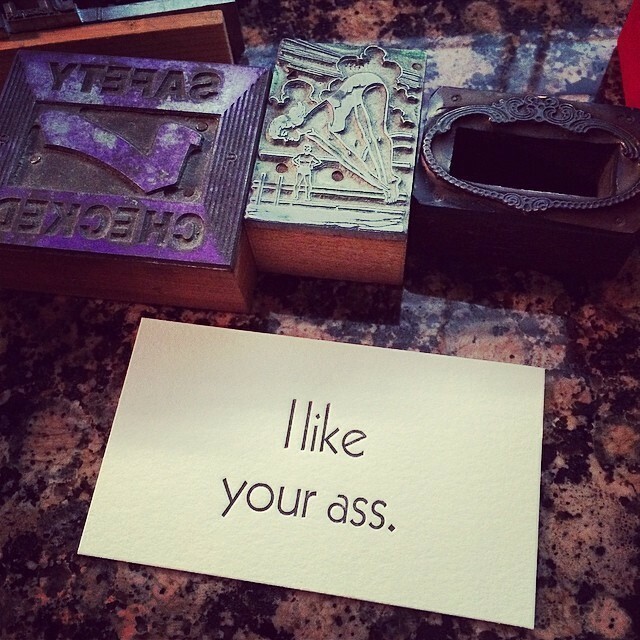 She wanted to know if I could reproduce this print on an American-size business card. With the Bodoni Semi-bold type in 10pt, it works perfectly. And, the silver ink on black paper looks beautiful. These were pressed for the customer in a variety of ink colors, using various colors of paper. Overall, I'm really happy with the way these turned out, but I'm really thankful for the customer taking me in a printing direction that I previously hadn't given much thought. 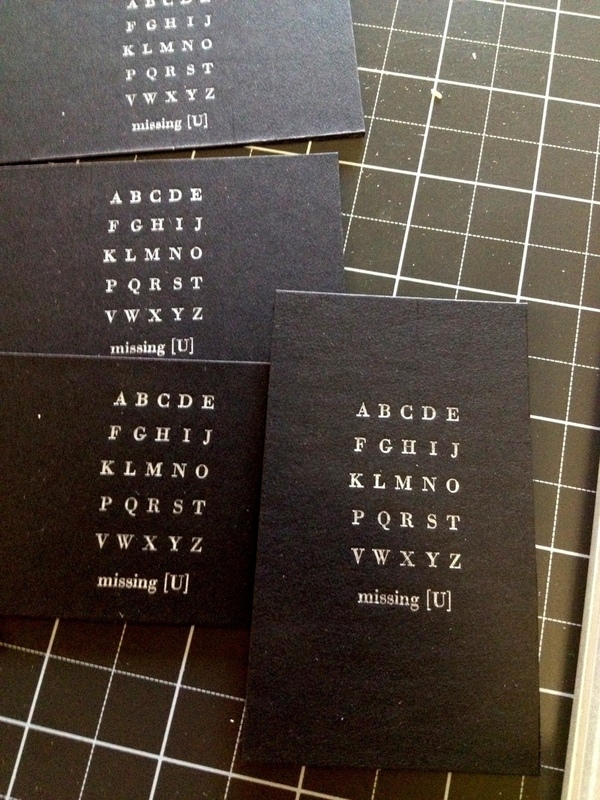 ➽ Business cards without all the clutter. Printed on 100% cotton, 220lb Crane's Lettra® paper. Durable, with a distinct finish you won't find through bulk printing shops. Note: phone number in this photograph has been purposely obscured. Hey, I don't give out my cell phone number to just anyone ­­– I'm not that easy. Don't fret, though. If you want to contact me, I'm here.